What an early Spring! Tulips are in full bloom here in the Skagit Valley. 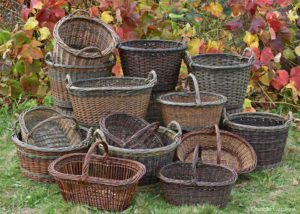 Perfect time to visit the valley and check out Katherine’s willow baskets in a couple of arts and crafts shows. April 1-10, 2016. 10-6 daily. 19229 Rexville Grange Rd., Mount Vernon, WA. 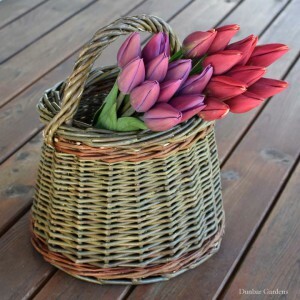 Annual arts and crafts show during the Skagit Valley Tulip Festival featuring baskets, paintings, pottery, glass, photography, jewelry, felted hats, weaving and wood from Northwest artists. 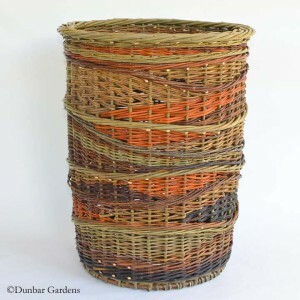 Katherine has a great selection of willow baskets on display and it’s right near the tulip fields! Skagit Artisans: April 16 from 10-5 and April 17 from 10-4. Johnson Historic Barn at 17322 Beaver Marsh Road, Mount Vernon, WA 98273. First year for this event organized by Nina Foster whose family renovated this historic barn. Located near the flower fields it should be a fun event to take in the beauty of the valley and some of the fine arts and crafts as well. Through April 23, 2016. 2921 Hoyt Avenue, Everett, WA. Biennial collection of Northwest artists in a variety of mediums for an eclectic exhibit. The Schack is one of northwest Washington’s preeminent non-profit arts organizations. 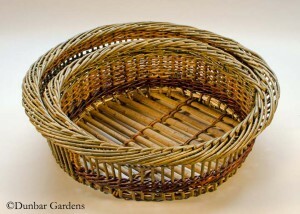 Katherine has two pieces in the exhibit – “Irish Potato Basket” and “Layers”. Summertime and the living is busy! 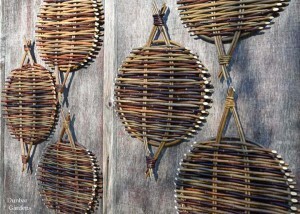 Katherine is just back from the biennial conference of the National Basketry Organization. As a current Board member of the organization, the past months have been a busy time preparing for the event. Two years ago Katherine was a teacher; this year she was one of the worker bees making the event go smoothly. However there is no time to rest with upcoming events in August and September. Read on. La Conner Quilt & Textile Museum: August 5 – 30, 2015 in La Conner, WA. 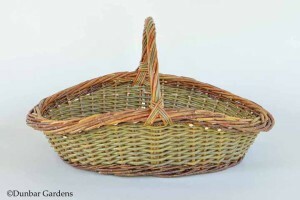 Katherine has been invited to exhibit her baskets in the museum’s Landmarks Gallery for the month of August. There will be an opening reception on August 5 from 4-6 pm. This is a great fiber arts venue and Katherine is excited for the opportunity for her first solo show. 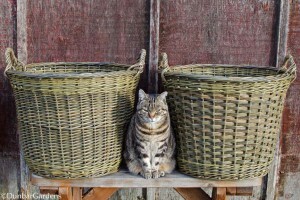 She has been working on some new baskets and will have a nice selection of her work on display. There will be two other fiber arts shows in the museum concurrently – quilts by Caryl Bryer Fallert-Gentry and fiber art from several Graduate Students of the Gail Harker Center for Creative Arts. Third World Wicker and Weaving Festival in Nowy Tomyśl, Poland: August 21 -23, 2015. Katherine is headed back to this large gathering of weavers hosted in Poland. 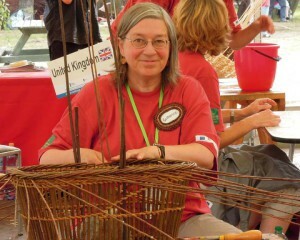 She attended the festival in 2011 and had a great time meeting basket makers from around the world. The event has weaving competitions, basket and sculpture exhibits, craft fair and more; all combined for a remarkable event. Katherine is traveling with her friend Maria Bullock from Orcas Island who is a native of Poland. After the festival, they are going to learn some traditional baskets from Polish weavers. They are planning on some other stops in the UK, Netherlands and Czech Republic. Look for trip photos and updates on our Facebook page. 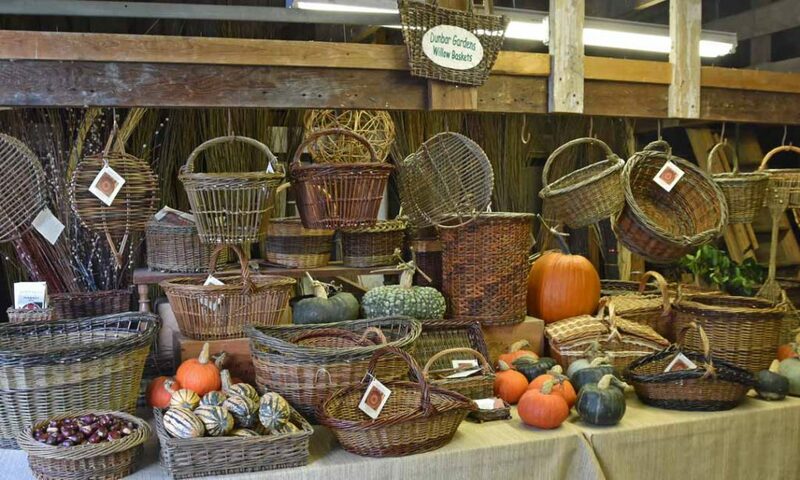 September 16-19, 2015: Columbia Basin Basketry Guild Fall Retreat. 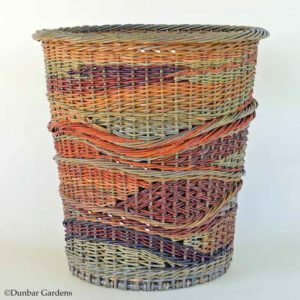 Katherine will be teaching two classes at the CBBG annual gathering of basketmakers at Rockaway Beach, Oregon. 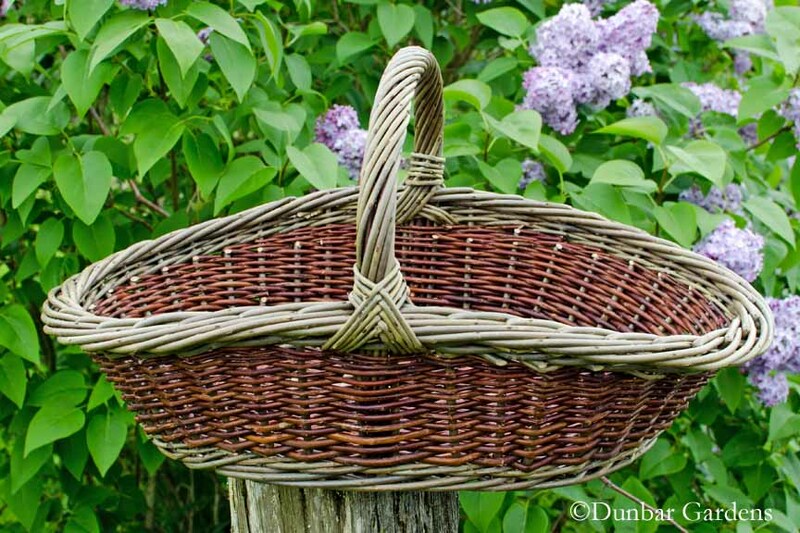 As of now the Irish Potato Basket class is full, but there are a couple of spots left in the Oval Flower Basket. All info and registration is available through the CBBG website. 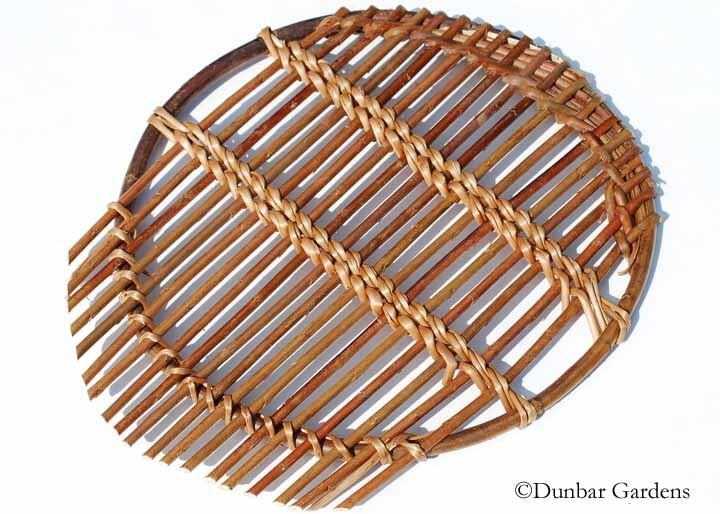 January 27-31, 2016: Northwest Basket Weavers Guild Annual Retreat. Katherine has submitted proposals for classes for this upcoming event. We will post info to our website when we know which classes have been chosen. May 14-15, 2016: San Juan Island Textile Guild. Katherine has been invited out to teach a two day class in fitching on San Juan Island. 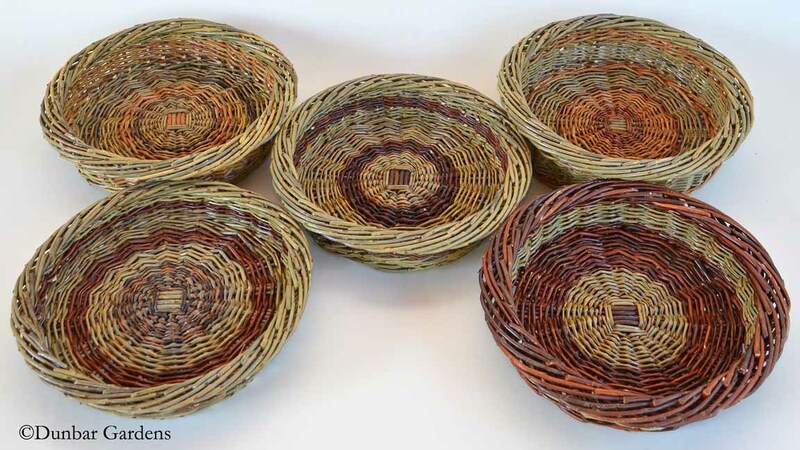 National Basketry Organization exhibition: July 9 – August 9, 2015, The Grand Hand Gallery, St. Paul, MN. September 19 – November 8, 2015, Fruitlands Museum, Harvard, MA. 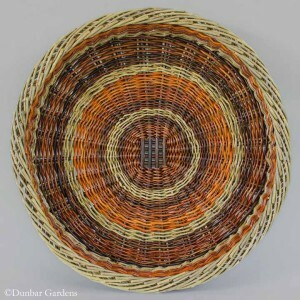 Biennial exhibition of outstanding basketry work sponsored by the NBO. 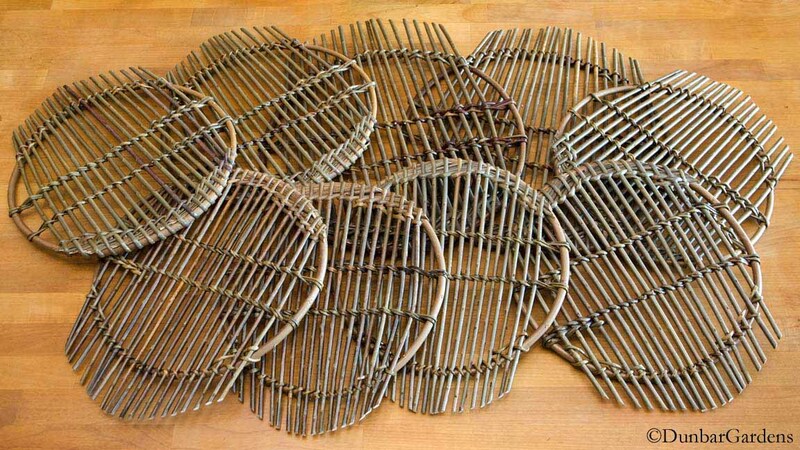 Katherine’s piece is titled Moon 2, a willow tray 20″ x 6″. 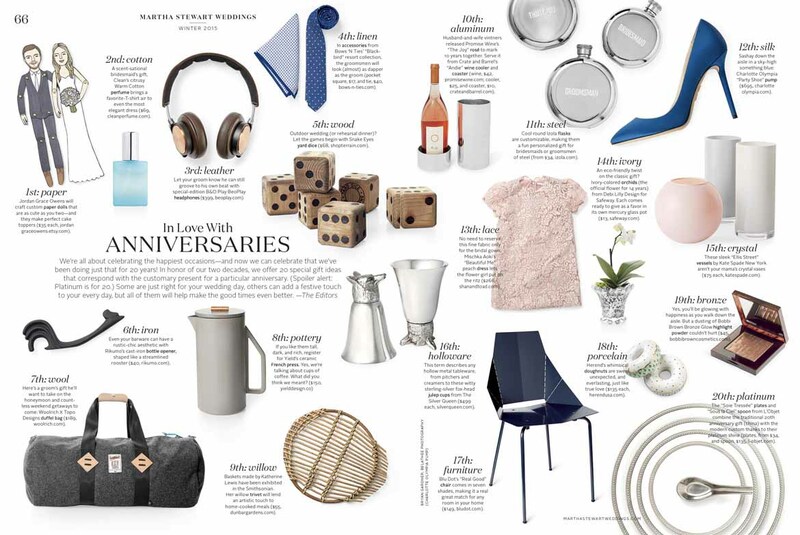 There is a catalog available from the NBO. 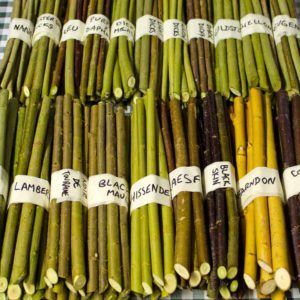 It might be time to start thinking about willow cuttings. It’s always good to have an idea of where you are going to plant next spring in case you need to prepare the spot this fall. Steve takes orders starting January 1 through March 31. We ship orders through the end of May according to your planting needs. We will be updating the website with 2016 availability and prices by the end of the year. If you ordered in previous years, we love to hear feedback on how the varieties are growing in your area. 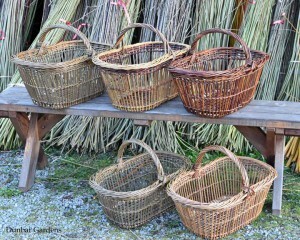 A big thanks to everyone who has purchased Katherine’s willow baskets. Working basketmakers help keep the traditions alive.